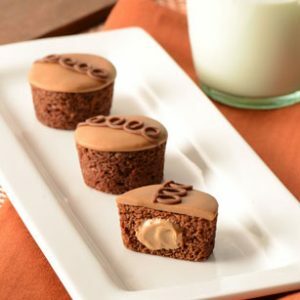 My kids love Tastykake, and now it’s eve better because they have brownies (with M&Ms), Peanut Butter Swirly Cupcakes, Chocolate Swirly Cupcakes, and Koffee Kake Cupcakes (all in mini form). You get three in a pack, and they are delightful. My son, over a period of about 5 days, ate the entire box of Mini Brownies (with M&Ms). My daughter, age 19, loves the other varieties. And, the husband, he loves the Peanut Butter Swirly Cupcakes. They are all delicious. I’m not as picky. I’ll eat any of them. Since my daughter is in College, and my son is starting Kindergarten, these are great for their lunches. I send a pack, with them, each and every day. It should help them get motivated around lunch time. School has been in for a week, and they are still asking for more. Time to run to the store. Joe, my husband, loves the Peanut Butter Swirly Cupcakes. And, he takes the entire box to work with him, then brings back what is left. It’s annoying, but if he likes them that much, then who am I to stop his habit. Even if he is on a diet. 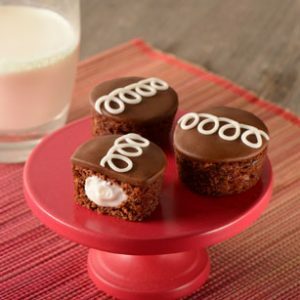 TastyKake also has a page of Recipes, there are so many to choose from, and they all look delicious. I’ve tried a few, and they turned out simply delectable. You should try some, too. If you need help locating a store, that carries Tastykake, go to this link. That link will lead you to the right place. There is Nothing Better than a NYC Bagel! Previous ArticleLove Jane First Period Kit Giveaway 6 Winners!